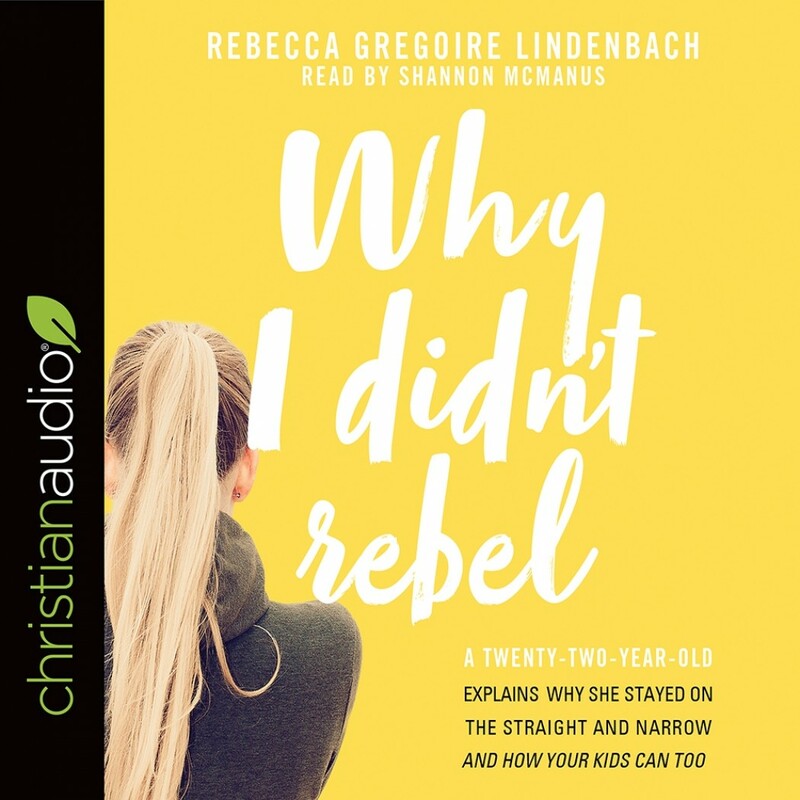 Why I Didn't Rebel | Rebecca Gregoire Lindenbach | Audiobook Download - Christian audiobooks. Try us free. Teen rebellion is seen as a cultural norm, but Rebecca Gregoire Lindenbach begs to differ. In Why I Didn’t Rebel--based on a viral blog post that has been read by more than 750,000 people--Lindenbach shows how rebellion is neither unavoidable nor completely understood. Based on interviews with her peers and combining the latest research in psychology and social science with stories from her own life, she gives parents a new paradigm for raising kids who don’t go off the rails. Rather than provide step-by-step instructions on how to construct the perfect family, Lindenbach tells her own story and the stories of others as examples of what went right, inviting readers to think differently about parenting. Addressing hot-button issues such as courtship, the purity movement, and spanking--and revealing how some widely--held beliefs in the Christian community may not actually help children--Why I Didn’t Rebel provides an utterly unique, eye-opening vision for raising kids who follow God rather than the world.